There is no such thing as an English footballer playing abroad at the peak of his powers today. Scour the globe in search of an Englishman plying his trade on foreign soil and seldom shall you find a man who could cut it at the upper echelons of his nation’s game. An opinion ubiquitously accepted as fact on the grounds of overwhelming evidence: England’s finest stay at home. Whether willingly ensnared by the unique allure of treading the boards in The Best League In The World™, dependent on the unrivalled salaries inflated by the requirement placed upon clubs to satisfy homegrown quotas, or simply content nestled among home comforts, English passports have, for no less than a generation, rarely proved necessary for anything beyond return trips, tournaments abroad, and final ‘greatest hits’ hurrahs. Ever the outlier, David Beckham’s distinguishing celebrity saw him first outgrow Manchester, before England, Europe, then football altogether, as his rapidly expanding brand sprung from continent to continent, subsequently carrying him on a tour of Madrid, Los Angeles, Milan and Paris that, to this day, remains anomalous among his compatriots. 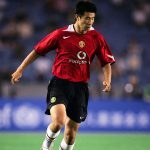 The only English footballer to enjoy such success abroad – perhaps even more – also headed to Madrid, a few years before Beckham. 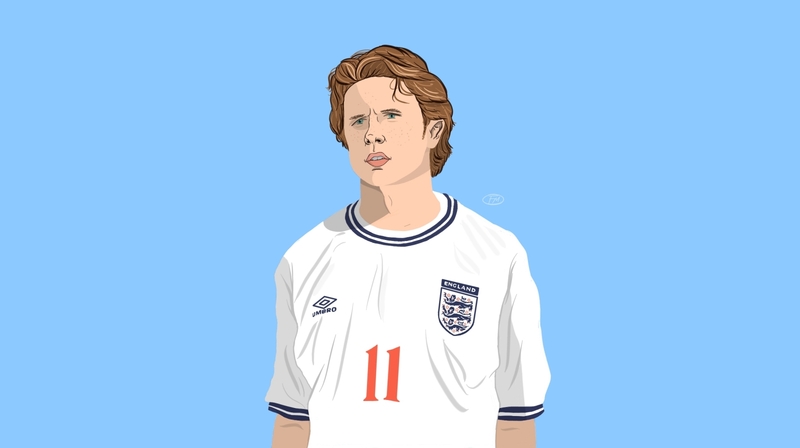 That man was Steve McManaman, who for some is one of England’s greatest exports. A cluster of his former Three Lions teammates – Frank Lampard, Steven Gerrard, Ashley Cole and, most recently, Wayne Rooney – all answered the call to Major League Soccer as their retirement beckoned, and many more of their markedly lesser renowned countrymen have similarly flown further afield in search of alternative adventures having learned a place for them at the summit of the English game was no longer assured. These familiar names represent the cream of the crop and behind them, in age and, temporarily, ability are a legion of players simply not playing. The best still rise, as cream does, forcing their way into the first teams of England’s largest clubs. But so many aren’t afforded the opportunity to prove themselves as one of those and, despite scores of promising youngsters becoming permanent fixtures on their clubs’ benches or rotting away in the reserves while expensive foreign imports are stacked increasingly frequently along their shrinking paths to stardom, painfully few appear brave enough to follow in the hallowed footsteps of the likes of Kevin Keegan. His own decision to emigrate – swapping Liverpool for Hamburg during his footballing prime in the late-1970s – was emphatically rewarded with back-to-back Ballon d’Or awards. It is for this very reason the many tortured servants of English football fandom have come to cherish the explosive emergence of two teenagers, two gallant and gifted young upstarts who aren’t only ditching the present blueprint in making a name for themselves in Germany, but who may just be marshalling the movement that crafts its replacement; influencing a new generation of ambitious English footballers and altering the course of their nation’s fate in the process. Born within three months of one another, in hospitals scarcely two miles apart in London, Jadon Sancho and Reiss Nelson shared a childhood that, like two dwarf planets precisely orbiting their own leather-bound sun, revolved relentlessly around football. Having made their own purposeful inroads into the game, their first collaborative claim to fame was forged at the Southwark London Youth Games in 2011 as the duo’s team triumphed in the under-11 tournament. By the time Holmes-Lewis first laid eyes on the pair, both were swiftly progressing through the academies of professional clubs, to whom they returned following the Southwark tournament. Sancho was, at that time, in his fourth year in the Watford set up and Nelson in his second at Arsenal. At 14, Sancho moved clubs, procured by Manchester City, who parted with a sum reported to be in the region of £500,000, beating Arsenal and Chelsea to the boy’s signature. By 16, both had made their international debuts and were on their way to becoming regulars at youth level for England. 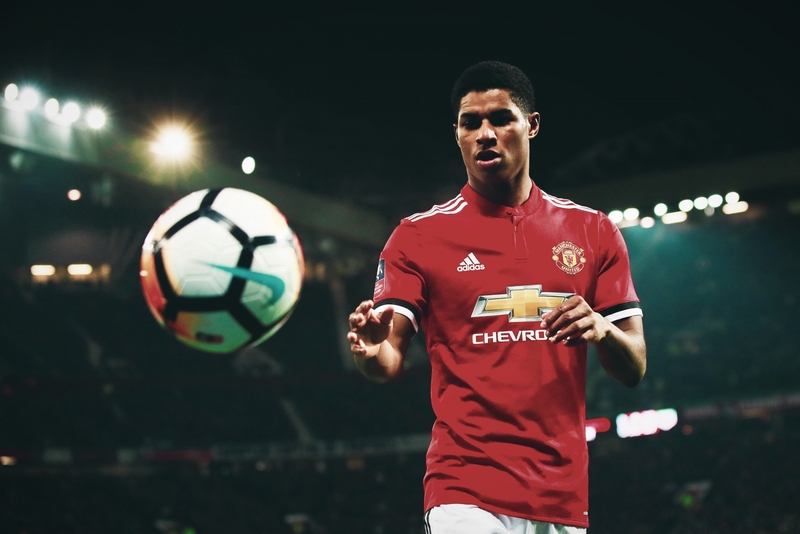 Progression continued apace, hype building around both players as first the clubs’ coaches, followed by their fans, and finally the media and the world at large received word of the two youngsters making a compelling case for first-team football despite their nascent years. Yet, in the days preceding Manchester City’s 2017 pre-season tour of the United States, unexpectedly distressing news broke: contract extension talks with Sancho’s representatives had been terminated and the youngster was to be omitted from the club’s travelling squad. Sancho’s time at City seemed to be coming to a premature and less than savoury conclusion. Upon receiving the news, incensed by reports that the 17-year-old had turned down a £30,000-per-week salary that dwarfed the wages of many of his contemporaries, fans rallied in support of their club and swiftly decried yet further evidence of a game that had gone to the dogs. Enraged by the temerity of a teenager turning down that kind of money at one of the biggest clubs in world football, betrayed fans began calling for his immediate release, dubbing the young player a disgrace. But this wasn’t the story of some gluttonous, intemperate youth hoping to milk every penny he could from the ample teets of his estranged sugar daddy, as some tabloids willed the nation to believe. This was a considered choice made by an intelligent young man acutely aware of the many internationals that stood between him and first-team football; a young man equally keen to do whatever it took to ensure his career received exactly that: first team football. Over the following weeks, the relationship between player and club deteriorated as Sancho remained determined to prioritise his playing prospects. Manchester City, meanwhile, resigned themselves to losing their most promising teenage talent. Finally, in late August, came the decision that provided context to the scenario Reiss Nelson later told the BBC was “Sanch [starting] the trend.” Jadon Sancho signed for Borussia Dortmund. Though Sancho had departed Manchester without a first team appearance to his name, Nelson was fairing more favourably in north London, with his own path to the first team made far clearer by his manager, Arsène Wenger. As a reward for the sparkling performances that proved vital in his club’s winning of the Premier League 2 – the country’s professional development league for reserves and under-23s – and having been named the division’s Player of the Year, 17-year-old Nelson was called up to the Arsenal first team. While his friend was settling into life in Germany, Nelson prepared to face a German club of his own as he was handed a first senior turn-out for the club in a pre-season friendly against Bayern Munich. Over the subsequent months came a procession of landmarks that tied neatly time-stamped ribbons around every stage of his expedited development. Between early August and the following April, Nelson made his bow in the Community Shield, Europa League, League Cup, and, finally, the Premier League, as sporadic substitute appearances slowly matured into starts and his days training with the club’s reserves became rarer with every insistence from his manager that he remain with the first team. At this time, Sancho had begun making strides with Dortmund. His debut – a six-minute cameo against Eintracht Frankfurt in October – had allowed him to dip his toes in the water and add ‘first Englishman to play in the Bundesliga for Borussia Dortmund’ to his already mightily impressive resume. By April, a fortnight after congratulating Nelson on his first Premier League start for Arsenal, it was Sancho’s turn to hear the joyful ping of the celebratory text after bagging his first league goal and two assists in a stunning display that helped his side to a 4-0 victory over Bayer Leverkusen. The German club had been made to part with some £8m in order to prize Sancho away from City, in the process of combatting interest from a collection of clubs including Real Madrid and Monaco, alongside the Premier League’s biggest hitters desperate to keep him on home soil, but Dortmund were soon patting themselves on the back for a piece of fine business well conducted, gleefully unaware that Sancho was just getting started. During the summer, both teenagers’ clubs endured significant change. Arsène Wenger called time on his 22-year reign as Arsenal manager, replaced at the season’s end by Spaniard Unai Emery, and, though perhaps lacking quite the same emotional legacy, Dortmund also sought their own change of manager, looking to distance themselves from the mistakes of the previous campaign, under Peters Bosz and Stöger, appointing Lucien Favre. These amendments in personnel would quickly come to impact upon the fledgeling careers of both teenagers. Emery took little time in recognising the immense potential in Reiss Nelson but wished, in the short-term, for the winger to earn first-team experience away from Arsenal, as such experience at Arsenal wasn’t something he could guarantee. Having watched as his friend, Sancho, practiced what he preached about the importance of taking opportunities to prove one’s ability when they arise, even if it means leaving one’s comfort zone, and having listened as he spoke so routinely about energy, vibrancy, and embracing of youth inherent to the Bundesliga, Nelson’s decision became a simple one. 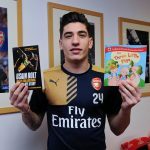 He gratefully signed a new long-term contract with Arsenal before packing his bags and departing on a one-way trip to join Sancho in the Bundesliga, agreeing to a season’s loan with Hoffenheim. 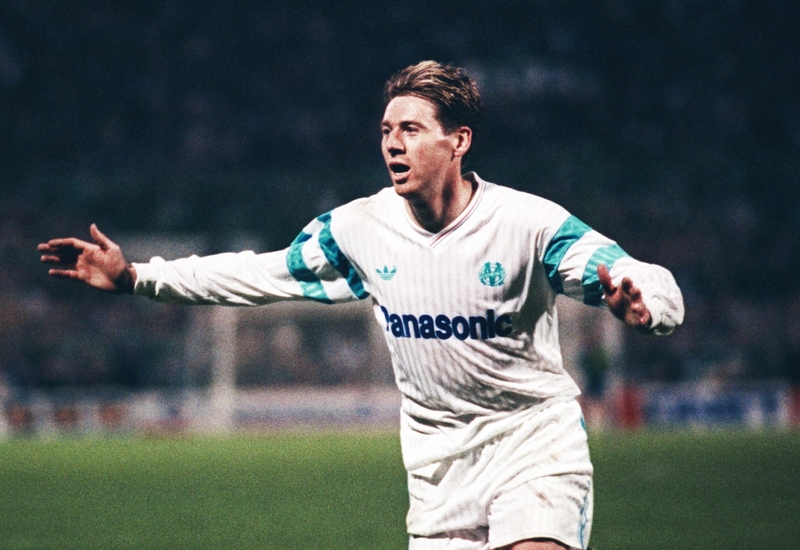 There he’d learn under the tutelage of Julian Nagelsmann, one of football’s most astute, prodigious young managers. Playing their football in the same senior division for the first time, the duo set to work, and the German top flight soon became the canvas to their artistic endeavours. With Sancho featuring on Dortmund’s left wing and Nelson on Hoffenheim’s right – though with both evidencing an aptitude to drifting inwards in possession or even founding attacks from the opposite flank – the pair began the season as mirror images of the other, similarly devastating when dribbling, a familiar confidence and desire to surge forward exuding from both, only on opposite sides of rival teams – one in yellow and the other in blue. Nelson made his first appearance for Hoffenheim off the bench late on against Fortuna Düsseldorf and, though he couldn’t prevent a loss, scored within just 14 minutes of arriving. Over the course of his first two months in Germany, he also found the net against Frankfurt, Bayer Leverkusen and Augsburg, in addition to a brace in a Man of the Match performance against Nürnberg, which saw him enter the November international break with six goals in 11 games – 413 minutes of football in total – just four of which were starts. Simultaneously, Favre’s swift, counter-punching Dortmund side began the season in electric goalscoring form. The new tactics and Sancho’s style dovetailed magnificently, informing and drawing the best out of the other. Sancho’s early season form made his once-thought admirable contributions from the previous campaign seem feeble. Leading the Bundesliga in assists, his name was on the lips of fans in two historic football nations. Even amidst the furore of the European stage, the deafening noise, the crackling excitement, young Sancho failed to buckle. Instead he thrived, laying on an assist at home to Monaco before grabbing the goal that capped his dazzling display during the demolition of Atlético Madrid, condemning the often stoic Diego Simeone to his most emphatic defeat as Atléti boss. 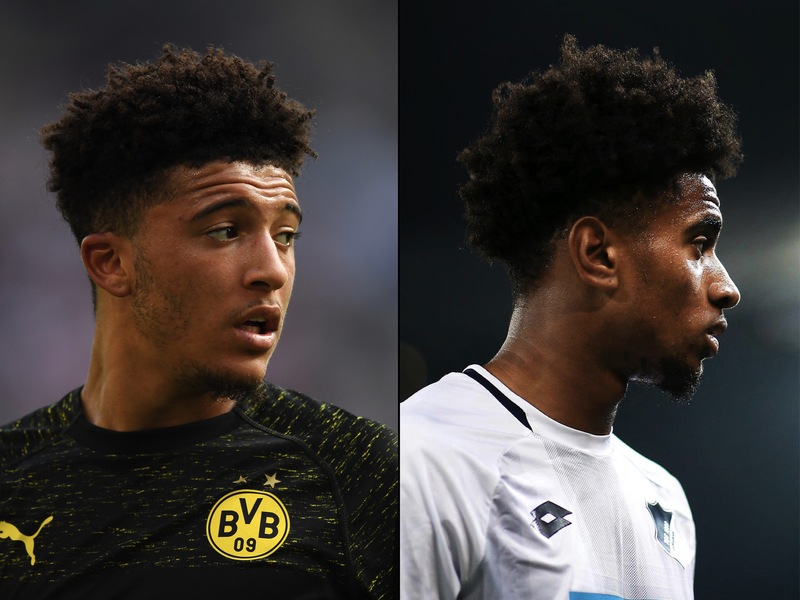 Though the efficacy of their work required no greater confirmation than their on-pitch exploits themselves, recent weeks saw both awarded for their fine form, with Reiss Nelson being named October’s Bundesliga Rookie of the Month, while Sancho received the senior equivalent for the same month in the days that preceded his return to the England national team. It is natural to fuss over the ideal time to commit to charting the meteoric rise of a young footballer or, in this case, two. Catching them too late only ensures the retelling of old news and jumping the gun too early will likely see one depart the festivities before the night’s real entertainment arrives. For Sancho and Nelson’s stories the case is no different, except on this occasion the responsibility feels more akin to attempting to photograph a firework at the split-second of its detonation. The fuse has long since been lit – one can only hope to encapsulate the whole glorious, shimmering array at the right instant. 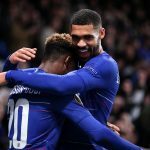 Not only can one be certain this is far from the brightest the duo will shine, but, in Sancho and Nelson, more seems to be at stake than their own form and fortunes. As widely alluded to in the media, the two friends, now seemingly a world away from the youth tournaments that once brought out their talent, have assumed the role of leaders of a brave new charge of English footballers and appear to be taking every moment, every responsibility, every supposed challenge in their stride, laughing their way beyond every hurdle, all the while showing an alternative passage to the game’s summit that their predecessors so routinely spurned. Though time will inevitably tell, as the two continue to soar, Manchester City’s loss may well prove to be Arsenal’s gain. Pep Guardiola and his colleagues will likely lose little sleep over the loss of a single talented individual, such is the deep river of virtuosity that courses through their squad at present, but few on English football’s vast landscape appear to possess the potential of Jadon Sancho. Intent on swerving his own hype in favour of simply continuing to work, learn and grow, Nelson neatly summarised his instant impact in Germany, saying: “It’s going well so far … but I’ve just got to keep it up. It’s not just for the six games, I’ve got to do it throughout the season.” Likewise, Sancho remains poignantly aware the key to success is consistency but already he is showing, on a regular basis against esteemed opponents, he has the talent, drive and ambition to spearhead one of European football’s most exciting attacking outfits and the potential to make Guardiola’s City, of all teams, rue his departure. No doubt, the world will continue to watch both youngsters from the edge of their seats; Bundesliga fans hoping to enjoy the good times while they last and their English counterparts hoping, for the sake of their nation’s avowedly bright future, the young duo’s unlikely, cathartic route to stardom continues on its skyward trajectory and perhaps one day becomes a path travelled often by those with similar aspirations.